Senior management too often chooses to concentrate its efforts in other areas, leaving manufacturing partially or totally unintegrated into the whole. Too many corporate myopias and parochial views place manufacturers in a less than desirable competitive position. Many have said, and some strongly profess, that Amer�ica's economic future hinges on our ability to transform ourselves from a manufacturing to a service industry based economy. This position is fundamentally wrong, when one considers that a primary source for the creation of wealth begins with manufac�turing. In addition, it is easy to understand the fundamental concept that our personal freedom rests on our economic freedom. The competitive challenge necessitates a new corporate attitude about the increased importance of World Class Manufacturing. This will cause senior management to view manufacturing with renewed importance as part of an integrated corporate strategy. This renewed importance for manufacturing will require a better understanding of manufacturing strategy implications, tradeoffs, and manufacturing planning, execution, and control techniques to gain and maintain competitive advantage. We must also recognize that MRP, JIT, etc. by themselves are only a piece of the whole. A new perspective is needed. The old, and unfortunately some new, parochial views have caused many of us to be nearsighted and lose ground because of it. We have learned a hard lesson. 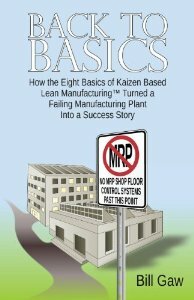 One of our greatest areas of vulnerability was in taking for granted that we knew how to apply our own manufacturing techniques, and we were so good at manufacturing that no one could beat us at our own game. What must be understood by senior management is that planning, organizing, executing and controlling manufac�turing resources is one of the key cornerstones to a profitable and dominant competitive position. For the manufacturing profes�sional, today and tomorrow present a great, but not easy, challenge to once again regain our strength in manufacturing. In order to gain competitive superiority in a world economy, the development and implementation of an effective manufacturing strategy has become an essential, overriding mission for manu�facturers. Developing a highly competitive manufacturing strat�egy as an integral part of an overall corporate strategy is a vital part of the management process as a company develops its instincts for Manufacturing Excellence.